One of our favorite times of year is upon us! It’s Hatch Chile season! That’s right; we’re going to be discussing the glorious Hatch chile. For those of you unfamiliar with them, Hatch chiles are grown in the Hatch Valley, an area stretching north and south along the Rio Grande from Arrey, New Mexico, in the north to Tonuco Mountain to the south of Hatch, New Mexico. The soil and growing conditions in this area create a unique environment which contributes to the flavor of chiles. So what’s so great about these chiles you ask? How about everything? They are packed full of flavor in addition to their heat. 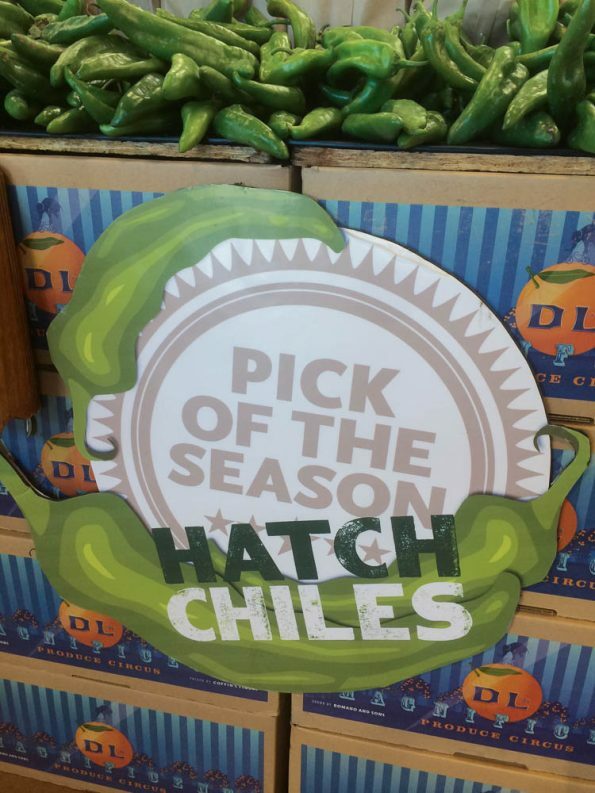 This year’s Hatch chile offerings have started to appear on the shelves! 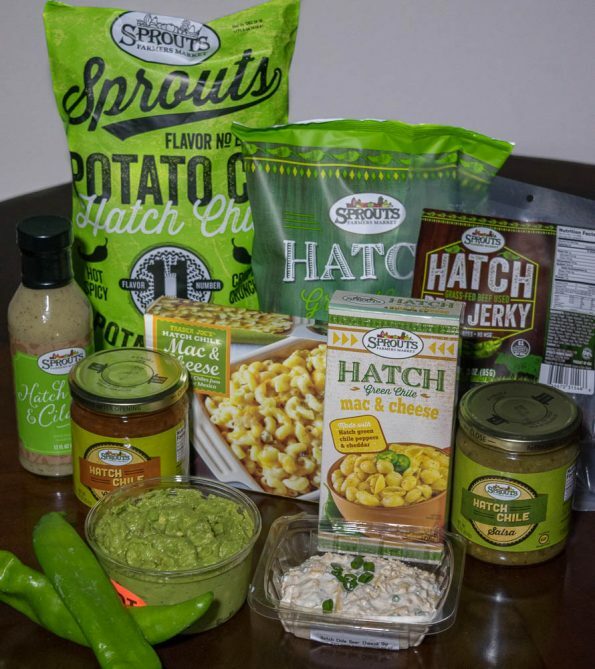 Whole Foods, Trader Joe’s (only 1 so far), and Sprouts all carry products to get that Hatch chile fix! We know there will be more offerings as the season goes on. Trader Joe’s assured us that they would have more items as the season moved forward, as did Whole Foods. Both Sprouts and Whole Foods also had fresh chiles for purchase. Chelsea’s Kitchen will host their First Annual Hatch Chile Roast featuring roasted and fresh chiles for home as well as food and drink specials from noon to 7 pm on August 27-28. From August 1 to mid through October 15, Z’Tejas will offer their innovative Chile Feast menu (including Hatch chiles) at all five Valley locations. Arriba’s Mexican Grill will be roasting hatch chiles at their Annual Hatch Chile Roast. Beginning Friday August 12th at 3:00, buy FRESH ROASTED Hatch Chiles for only $1.99 per pound at ALL six Valley Arriba Mexican Grill – Phoenix, Glendale, Scottsdale, Ahwatukee, Gilbert and Goodyear. This will run every weekend until they are out of chiles! 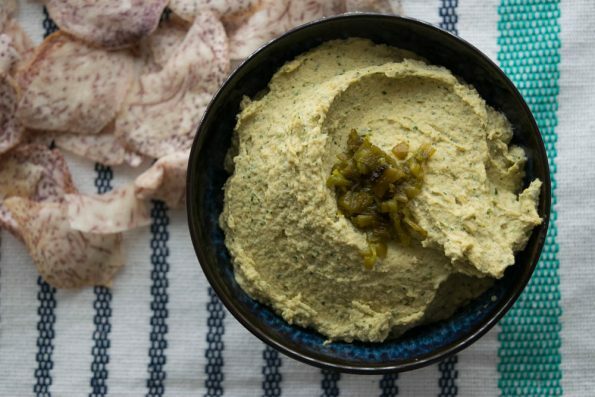 If you’re looking to use some of your fresh Hatch chiles we have the recipe for you! 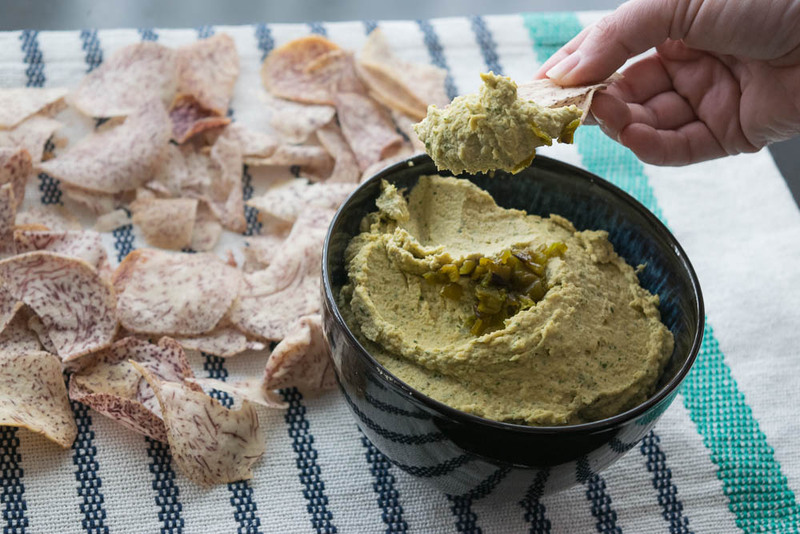 This hummus recipe was created a year ago for a camping trip. Sadly, we forgot to take photos and it was already the end of the season so we had to wait until now to share it with you! What are some of your favorite recipes to spice things up? 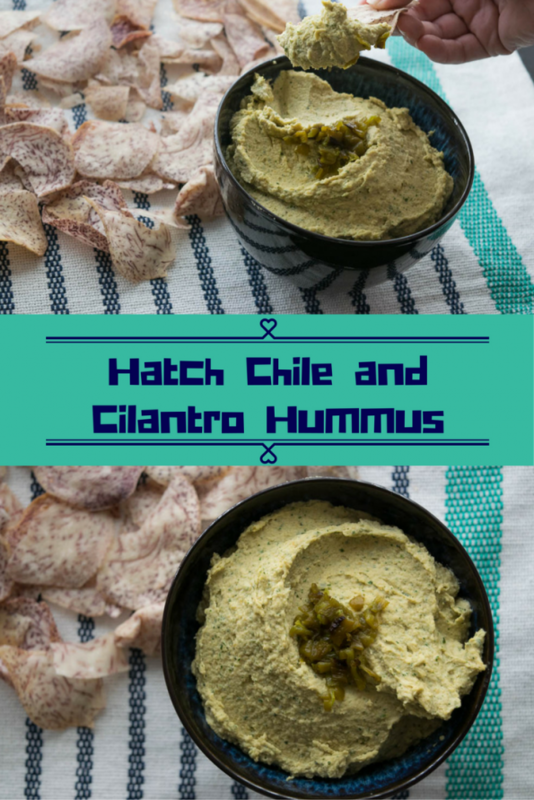 Do you have a similar love for Hatch chiles? We want to hear all about it! Leave a comment below or use the hashtag #GeekEats! *The Geeks were not given any comped items or compensated to facilitate this write up; Opinions are wholly our own. View our Disclosure Policy for more info.